Driven by his passion for computer technology and electronics, Sébastien Lambot is a Belgian engineer and entrepreneur. At the age of 25, he founded his own IT company IT-tude, active in the fields of consulting and implementation of complete IT solutions for small and medium businesses. His dexterity and his early attraction for the technical challenges during his youth have awaken his curiosity and revealed a growing thirst for learning. 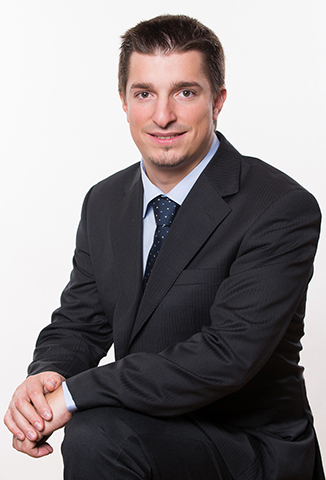 After a flawless schooling at the scientific high school College Cardinal Mercier (Braine-l’Alleud), Sebastien arrived in 2002 at the Haute Ecole Léonard de Vinci (ECAM – Brussels) and achived Honors and High Honors, awarding him four years later the Master degree of industrial engineer in computer science. During his studies, he has been an active member of the Board of the Haute Ecole and appointed student representative when he defended Bologna decree. In the same time, he also took the opportunity to follow additional courses in Dutch and electronics, assembled his first computer, and set up a centralized passive server for data storage and remote working. Sebastien then decided to follow a Master of Science in Management at IAG (UCL – Louvain-la-Neuve), where he graduated with distinction a few months later in June 2007, which allowed him to add valuable topics to his knowledge: management, accounting, engineering process and methodology. His arrival in the professional world began shortly after, when he dived into the financial world as an international IT consultant. In the heart of the news, he participated in the technical aspects of merges / splits of banking institutions and was IT responsible for European offices of BNP Paribas bank, formerly Fortis. In parallel, the difficult economic situation experienced globally made him create an independent complementary activity to offer effective and affordable IT solutions for small and medium businesses. The concept was a great success and the entrepreneurial fiber triggered a passion in Sebastien’s, which led him to create two years later his own company, aptly named: IT-tude! Having acquired a strong expertise since the beginning of his career, Sebastien has had the chance to work on several missions for banks before being offered a collaboration with IBM as a systems engineer. His management skills and his taste for entrepreneurship led him to participate in large-scale projects and the creation of several other companies through its real flair for future talents. He’s a strong nature and project-oriented. He is autonomous and can drive complex projects to success, but he occasionally likes to get his hands on his soldering iron and perform more technical tasks. Although his activities are very time-consuming, his methodology and organization allow him to spend selected moments with his family and for his hobbies.